Transferrin receptors are transmembrane, homodimeric proteins that play a role in iron transport, uptake, and storage. 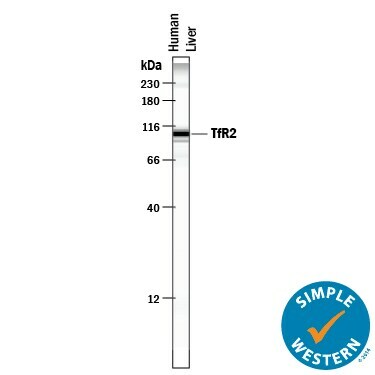 TfR is an essential receptor, found on almost all cell types, regulated by intracellular iron concentration, and has a high affiinity for transferrin. 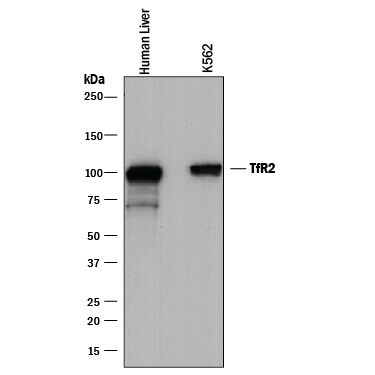 Soluble TfR (sTfR) arises from the proteolysis of TfR into monomers that can be measured in plasma and serum. 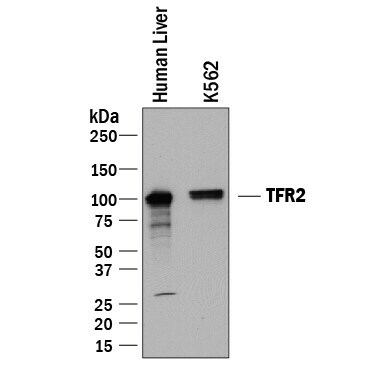 TfR2 has limited tissue distribution (hepatocytes and enterocytes), is regulated by the cell cycle, and binds transferrin poorly. 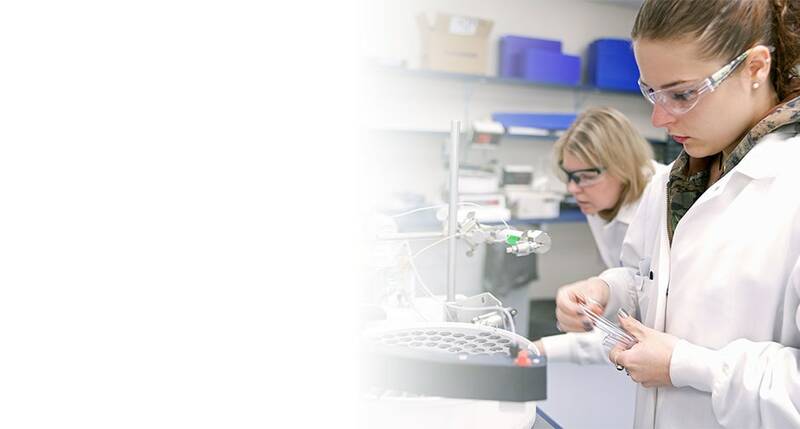 "TfR2" has 3 results in Products.